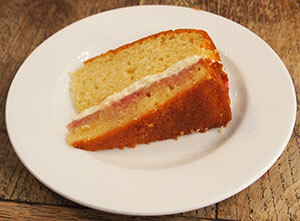 Victoria sponge was a favourite of Queen Victoria and is also said to be the nations favourite. Quick and easy to bake. Once you've had one slice you will always want to eat another. Sift and fold in a little of the flour at a time and mix to produce a smooth mixture. Grease and base line the sandwich tins, then divide cake mix between them. Bake for 25 minutes until golden brown and springy to the touch. Leave to cool and turn out onto wire racks. When cool, sandwich the two halves of the cake together with a generous filling of jam. You can also add a layer of whipped cream to the sandwich layer if required. 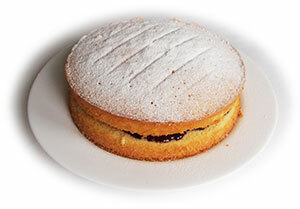 For a traditional finish, simply dust the top of the cake with icing sugar. Alternatively, you can spread a layer of cream over the top and top off with fresh sliced strawberries. Cut into slices and serve with tea, fruit juice or lemonade.